This week you must have been enjoying in theatres the difference of opinion between Tony Stark and Steve Rogers in “Captain America: Civil War”; that’s for sure going to create box office record. Nevertheless, this week is also good for movie buffs who are always waiting for movies that catch interest with amusing storyline. So, here is a list of seven best trailers released very recently. Take your pick which is the best and which movie you’re looking forward. “Bad Moms” starring Kristen Bell and Mila Kunis is all about crazy and carefree parents who do parenting their own way. So, enjoy the trailer and hope to learn few tricks to live a life of carefree motherhood. In this new comedy from the writers of “The Hangover”, Amy has a seemingly perfect life – a great marriage, over-achieving kids, beautiful home and a career. However she’s over-worked, over-committed and exhausted to the point that she’s about to snap. Fed up, she joins forces with two other over-stressed moms on a quest to liberate themselves from conventional responsibilities – going on a wild, un-mom-like binge of long overdue freedom, fun and self-indulgence – putting them on a collision course with PTA Queen Bee Gwendolyn and her clique of devoted perfect moms. 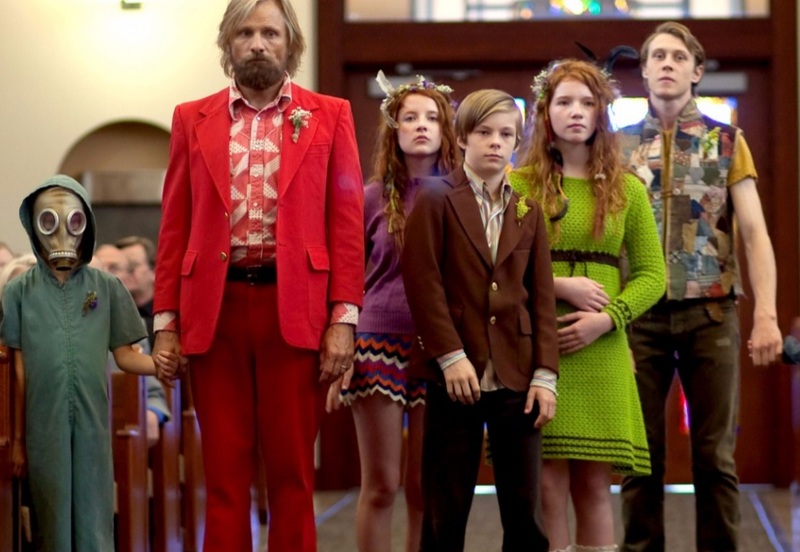 Coming in July, “Captain Fantastic” is about “a father devoted to raising his six kids deep in forest with a rigorous physical and intellectual education”. But when he is forced to leave his comfortable world in the wild, will he be able to return to a normal society after living in isolation for a decade? The trailer shows Viggo Mortensen playing the role of an idealistic father. Based on the critically acclaimed, bestselling novel by Jojo Moyes, “Me Before You” is an upcoming romantic drama. Oftentimes you find love where you least expect it. Sometimes it takes you where you never expected to go… Louisa “Lou” Clark (Clarke) lives in a quaint town in the English countryside. With no clear direction in her life, the quirky and creative 26-year-old goes from one job to the next in order to help her tight-knit family make ends meet. Her normally cheery outlook is put to the test, however, when she faces her newest career challenge. Taking a job at the local “castle,” she becomes caregiver and companion to Will Traynor (Claflin), a wealthy young banker who became wheelchair bound in an accident two years prior, and whose whole world changed dramatically in the blink of an eye. No longer the adventurous soul he once was, the now cynical Will has all but given up. That is until Lou determines to show him that life is worth living. Embarking together on a series of adventures, both Lou and Will get more than they bargained for, and find their lives—and hearts—changing in ways neither one could have imagined. Set in rural Kentucky in 1861 and “Men Go To Battle” tells about the lives of two brothers Francis and Henry Mellon (played by Tim Morton and David Maloney) try to grow crops on their inhospitable patch of land in Kentucky. As tensions run high, the two get into a fight that leads Henry to join the Northern side during the American Civil War leaving Francis behind to manage the farm. Wait for yet another Daniel Radcliffe starrer film that involves magic. “Now You See Me 2” is a sequel to the 2013 film and it will bring back the four magically gifted Horsemen for a comeback performance in hopes of exposing the unethical practices of a tech magnate. The man behind their vanishing act is none other than Walter Mabry, a tech prodigy who threatens the Horsemen into pulling off their most impossible heist yet. Their only hope is to perform one last unprecedented stunt to clear their names and reveal the mastermind behind it all. The trailer for the sequel of the 2014 hit film “Teenage Mutant Ninja Turtles” has a new trailer, check out below. In the new “Teenage Mutant Ninja Turtles: Out Of The Shadows” the Turtles comes into conflict with T.C.R.I. scientist Dr. Baxter Stockman and the return of their enemy, The Shredder, who has hired Stockman to create mutants of his own in the form of Bebop and Rocksteady to even the score. In the upcoming thriller “The Shallows”, Blake Lively plays Nancy who is surfing on a secluded beach, she finds herself on the feeding ground of a great white shark. Though she is stranded only 200 yards from shore, survival proves to be the ultimate test of wills, requiring all of Nancy’s ingenuity, resourcefulness, and fortitude.